The next time you hear “Fore!” on the golf course, you might see something other than a golf ball flying through the air. 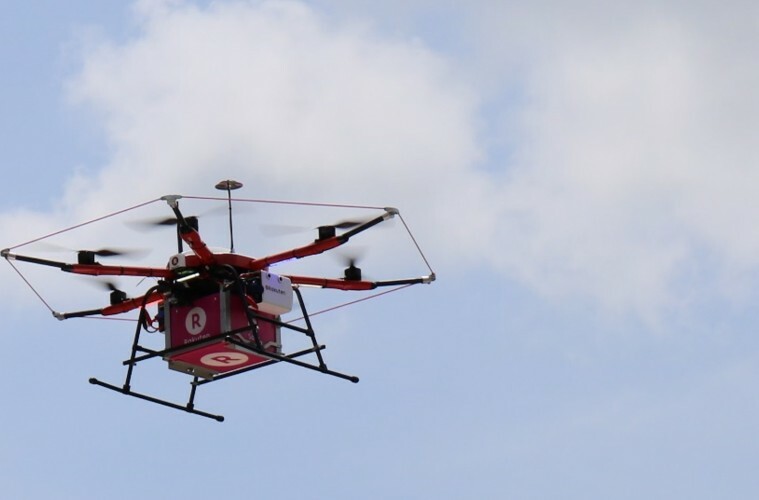 It could be a drone delivering hamburgers and drinks. 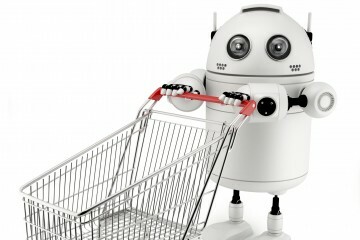 Rakuten has partnered with Autonomous Control Systems Laboratory (ACSL), a spinoff of Chiba University, to launch a drone delivery service called Sora Raku. 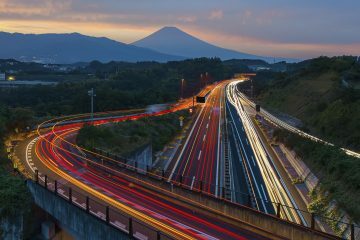 The first service of its kind in the world, Sora Raku will begin May 9, 2016, initially as a one-month pilot project at a golf course in Chiba Prefecture near Tokyo. 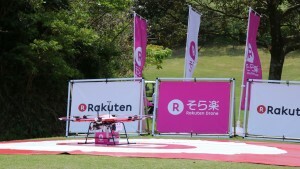 During the demonstration, a drone jointly developed by Rakuten and ACSL, dubbed “Tenku,” flew autonomously over the teeing ground for the 15th hole on the links before locating and landing on a tarp emblazoned with a large “R” for Rakuten. 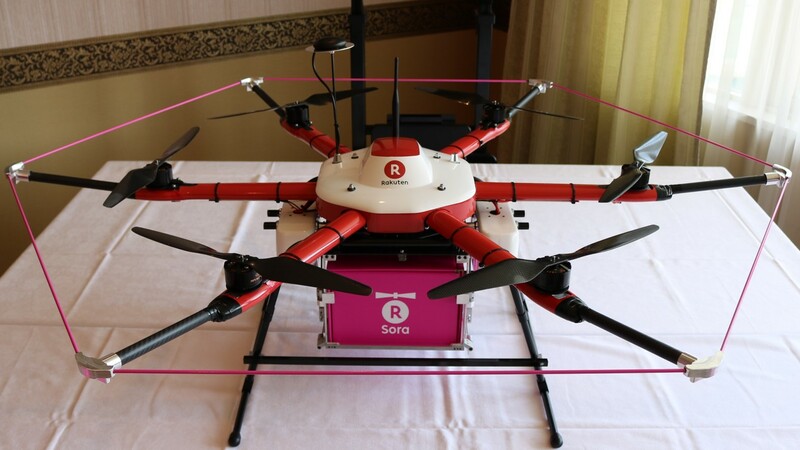 It then deposited a pink box and flew off again – the color was chosen to give the drone service a friendly look, Mikitani said. Based on an existing ACSL drone, the Tenku has six rotors, the ability to fly through strong winds and automatic navigation and package release. 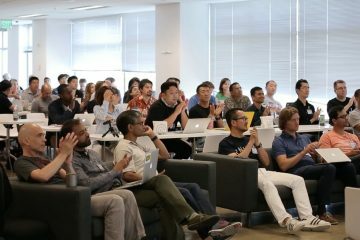 Engineers at Rakuten Institute of Technology developed its image-recognition function to identify landing zones. 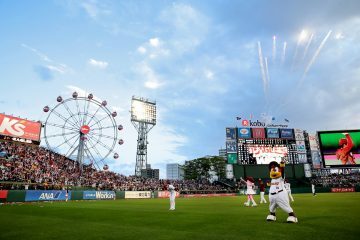 Flying at a speed of around 8 meters per second, Tenku can carry a maximum load of about 2 kilograms – more than enough for a hamburger straight off the clubhouse grill. 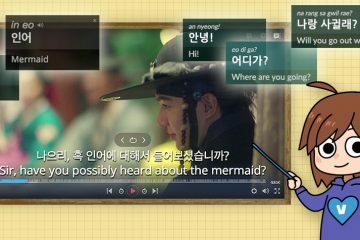 With the Sora Raku Android app, golfers will be able to order about 100 items including beverages, snacks and golf gear such as balls and tees. 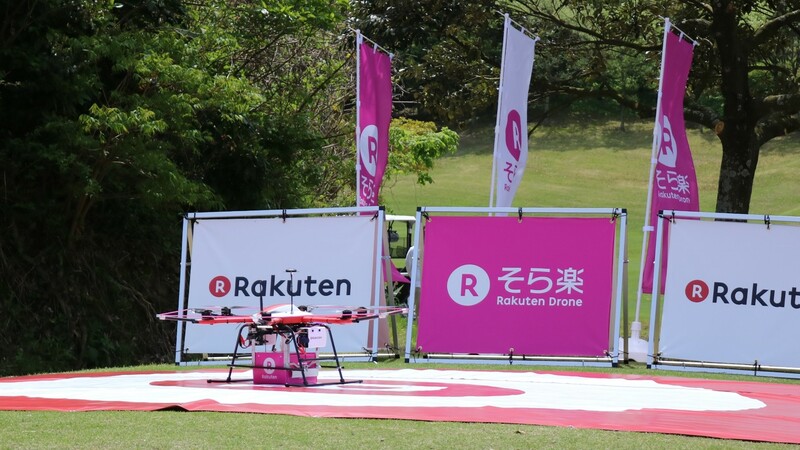 Users have to log on with their Rakuten ID, indicate which hole they’re near on the course, place an order and can pay either by credit card or with Rakuten Super Points. The drones will be dispatched from a launch pad near the clubhouse at Camel Golf Resort and will reach designated landing zones on the course within a few minutes. They then release their box of goods and then automatically return to the clubhouse. ACSL produces drones under the Mini Surveyor brand including the MS-06LA for industrial applications; it’s also developing a delta wing-shaped vertical takeoff and landing craft for long-distance use. 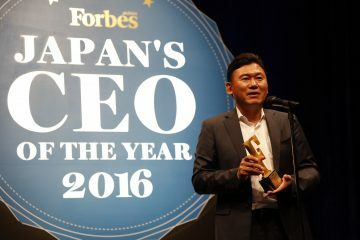 The company is based in Chiba Prefecture, which has established itself as a frontrunner in Japan’s drone industry, with Chiba City also planning drone delivery services to high-rise condo dwellers in the Makuhari area. 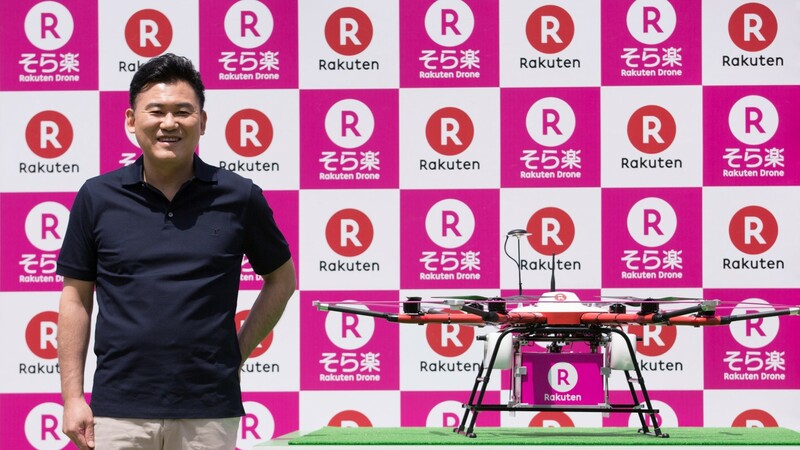 “The deregulation and positive attitude toward drones in Chiba has established ideal conditions for us to test the real-life performance of last-mile logistics,” said Rakuten’s Hideaki Mukai, head of the Sora Raku project. Sora Raku marks Rakuten’s first entry into the rapidly expanding drone market, though the company invested in ACSL in March. 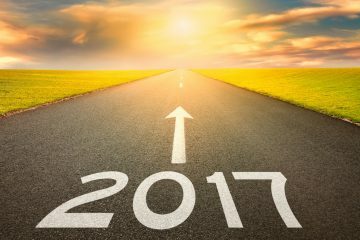 Drone-related services have generally been focused on enterprise applications such as surveying construction sites, aerial photography, crop spraying and infrastructure inspection. Next ArticleWhy do we climb mountains?